This is an official Doctor Who product, age-graded 5 years plus. Cyberman: 15cm, 62g. Weapon: 3.5cm, 1 g. Sontaran : 12.5cm, 56g. Weapon: 6cm, 3g. A selection of Max Steel Figures/ play set, including a transforming motor bike. In excellent condition used but looked after. UK postage only. The 4th Doctor Regenerated! This Tardis does not have Electronic working parts. This Dalek is the version as seen in the TV story "Asylum of the Daleks". The White Paradigm Dalek features a new paint job, dirty and distressed to match the version shown in the story. It also has a decommissioning stamp on its side. New and sealed, slight shelf wear. Lights, sound effects and 10 second voice recorder. Requires 2 x AAA batteries. Includes Wither, Wither Skeleton Head, Shooting Head, Soul Sand Block and clear base. The Fourth Doctor in his 'Talon's of Weng Chiang outfit. The 1970's Collector's Set including. HAS REMOVABLE MASK HEAD TO. RARE PURPLE VERSION COMPLETE. IN TUXEDO FROM VOYAGE OF THE DAMNED. For most of his incarnation, the Doctor was able to successfully project a convivial and even frivolous front. If prodded too much, he would erupt in an almost righteous sense of fury. DOCTOR WHO KRILLITANE RED / BROWN MONSTER WITH CLOSED MOUTH RARE VERSION. A SCARCE ITEM. FROM 10TH DR ERA. The Twelfth Doctor's collector's Set. JON PERTWEE. This Doctor worked for UNIT as their unpaid scientific advisor, and remained in their service after his exile was ended. TH E THIRD DOC TOR. THE THIRD DOCTOR. "Courage isn't the matter of not being frightened, you know. 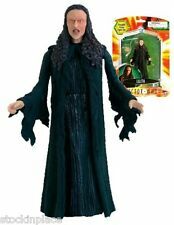 Dr DOCTOR WHO Series 1 CHRIS ECCLESTON 9th DOCTOR w AUTON PARTS 5" Figure SEALED. Condition is New. Dispatched with Royal Mail 2nd Class. Doctor Who 5 Inch Captain Jack Harkness with RAF Cap.Series 1 Opened Packaging. Ending 24 Apr at 9:49AM BST3dBrand: CharacterPackaging: Original (Opened)Size: 5"
Doctor Who The Tenth Doctor in Pentallian Spacesuit Action Figure Loose. Tenth Doctor in pentallian spacesuit with card loose. Good condition. See photos. Vinnie ( Aquatic ). Biker Mice From Mars. 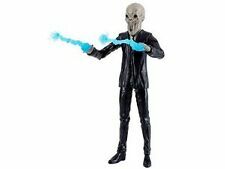 DOCTOR WHO FIGURES : K1 ROBOT FIGURE Dr Who Classics. CHRISTOPHER ECCLESTON 2005. THE NINTH DOCTOR. WITH SCREWDRIVER. knowledge of his hand in its grisly conclusion. to brood and act crossly to those who rubbed him the wrong way. Despite this, he remained jovial and quite friendly towards. THE DOCTOR. NEW & SEALED. WEEPING ANGEL. 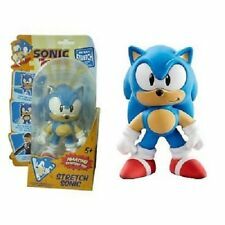 Figure is new in unopened packaging. 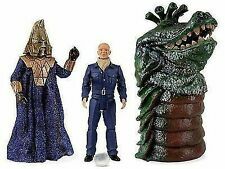 This set includes a The 4th Doctor - D84 robot and decayed Master. For international recorded small parcel up to 750g. 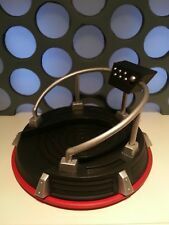 Doctor Who 5 inch Sanctuary Base Set. Lift And 4 Figures. Ending 24 Apr at 9:49AM BST3dBrand: CharacterPackaging: Without PackagingSize: 5"
Doctor Who cyberman fugure, brand new in box. Series six Corroded Cyberman with chest damageand electric shock hands. Condition is New. There is a printing fault on the round printed panel - accross top of head . For international recorded small parcel up to 500g. 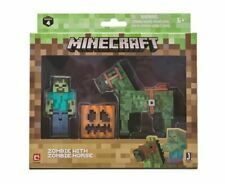 Doctor Who 5 Inch Ninth Doctor With Auton Arm.Series 1 Sealed Packaging.9th Dr.
Ending 25 Apr at 2:57PM BST4d 5hBrand: CharacterPackaging: Original (Unopened)Size: 5"
Minecraft Figures bundle Includes Red Ore light. Condition is Used. Dispatched with Royal Mail 2nd Class Large Letter. WILLIAM HARTNELL 1963-66. COMPLETE WITH CANE. THE FIRST DOCTOR. "Our lives are important - at least to us - and as we see, so we learn. Our destiny is in the stars, so let's go and search for it". SO ADD US TO YOUR FAVOURITES. Replica of the Thirteenth Doctor’s electronic screwdriver with lights and sound FX. With its ergonomic design, it is instantly distinguishable from any Sonic Screwdriver that has gone before it. Replica Sonic Screwdriver. We don't ever claim any item to be in perfect condition because upon close inspection defects can always be found. If there is any further information you need to know, be sure to and we will get back to you within 24 hours. Sea Devil with gun and string vest as seen in the TV story, The Sea Devils. Here is the 6th Doctor Colin Baker with Blue Neck Tie in good used condition. Non Electronic Tardis With Opening Doors. We reserve the right to cancel any orders, for any reason, including if we suspect fraudulent activity. We will try our best to resolve any issues, quickly and professionally. Ending 26 Apr at 2:23PM BST5d 5hCollection station availableBrand: CharacterPackaging: Original (Unopened)Size: 8"
EMPRESS OF THE RACNOSS - GIANT SPIDER. THIS BUY IT NOW IS FOR. USED - IN PLAYED WITH CONDITION. 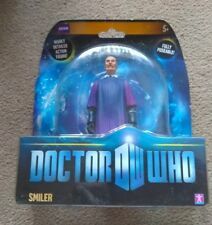 This is an official Doctor Who product, age-graded 5 years plus. Loose Sil: 5 cm, 22 g. Tank: 12.5 cm, 71 g.
This is an official Doctor Who product, age-graded 5 years plus.